Preheat oven to 220°C (425°F). Place the pomegranate molasses and 2 tablespoons of the oil in a small bowl and mix to combine. Brush the pumpkin wedges with the molasses mixture, place on 2 large oven trays lined with non-stick baking paper and sprinkle with salt and pepper. Cook for 25–30 minutes or until the pumpkin is caramelised and tender. Place the remaining oil, walnuts and cumin in a small, non-stick frying pan over medium heat and cook for 3 minutes, stirring, or until the walnuts are toasted. Set aside to cool, then roughly chop. 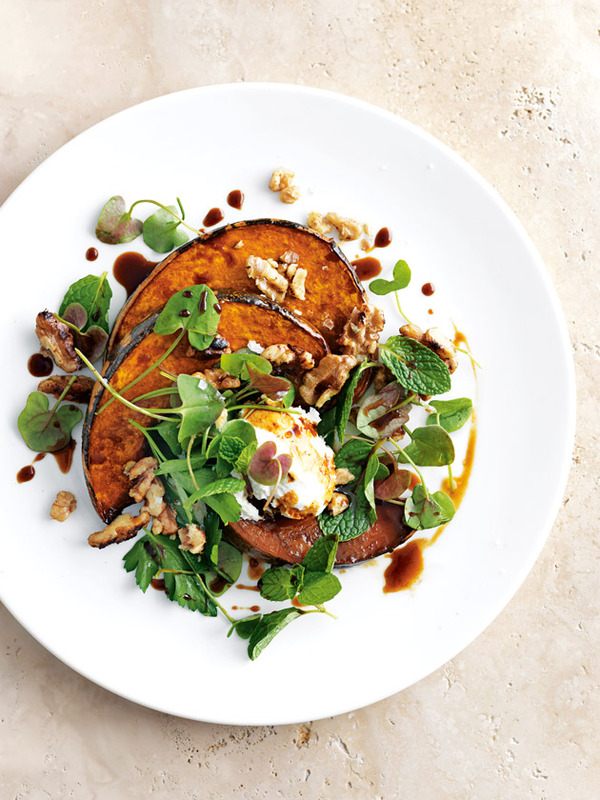 Divide the pumpkin between plates and top with the sorrel, parsley, mint, labne and toasted walnut. Drizzle with the extra molasses to serve. Serves 4.